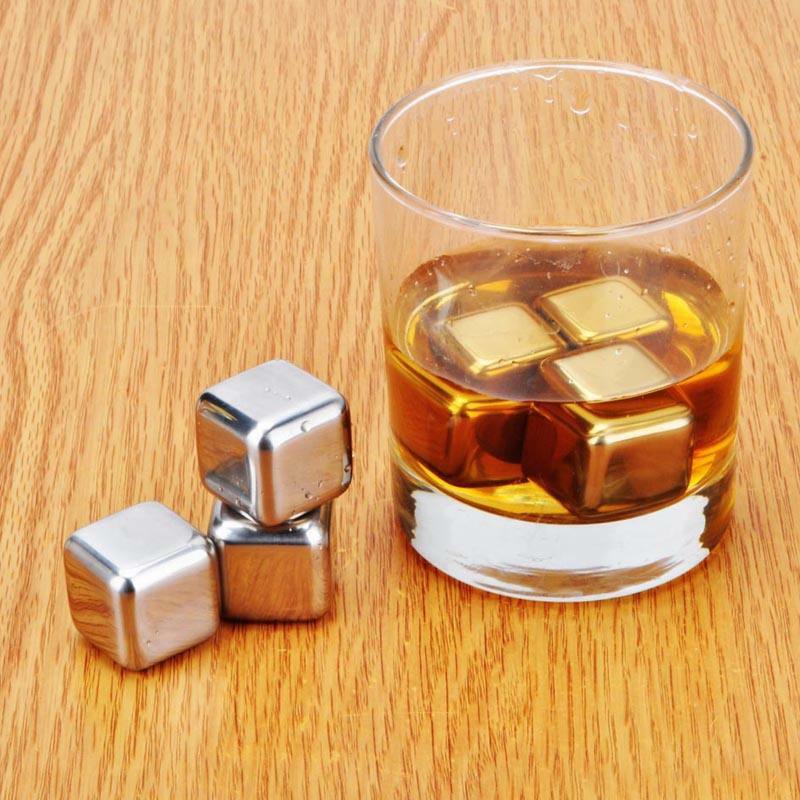 We used to have to choose between "neat" and "on-the-rocks." 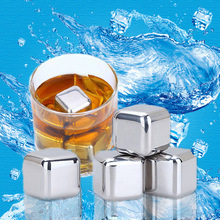 Ice keeps your drink cool but diminishes the flavor. 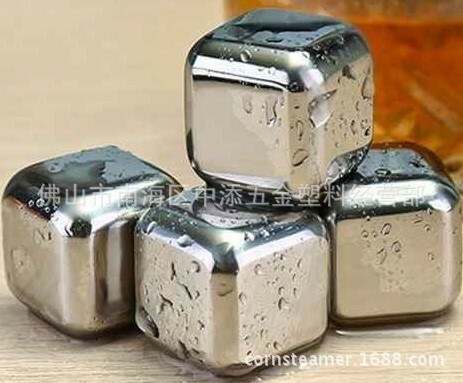 With this Stainless Steel Ice Cube, you can have your drink and keep it cold too! 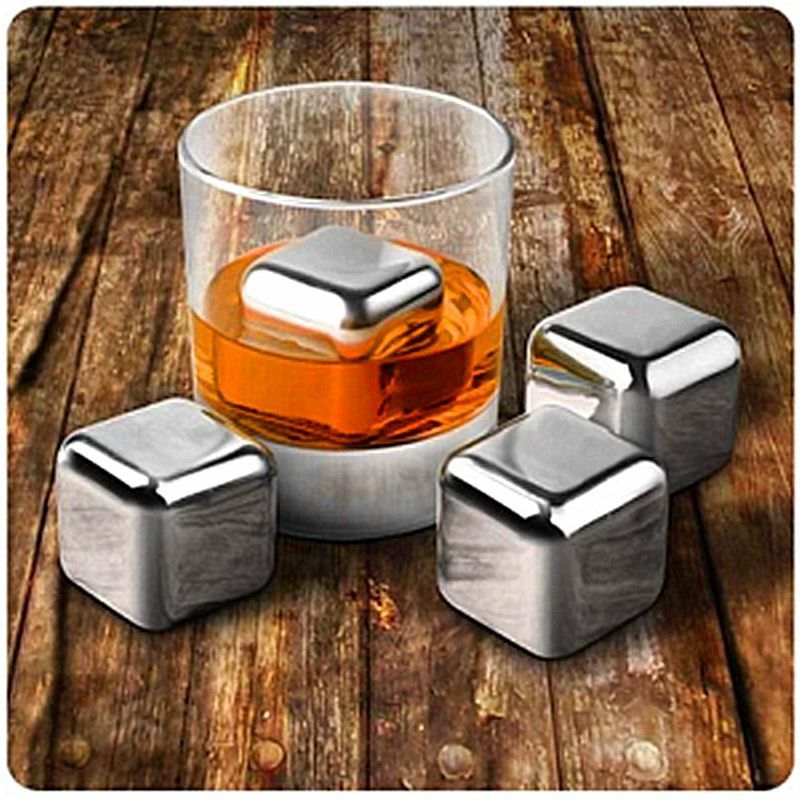 The stainless steel design chills quickly, won’t scratch glassware and won’t alter the flavor of your drink. Each one is filled with a non-toxic freezer gel to stay cold as long as possible. Makes a great gift for spirit drinkers, party hosts and housewarmings! 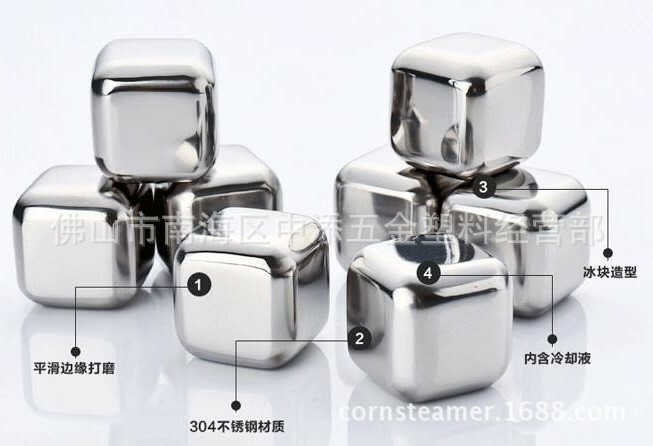 Each cube is 1 inch by 1 inch by 1 inch. Received them yesterday. They are exactly as expected! Happy with my purchase. perfect. 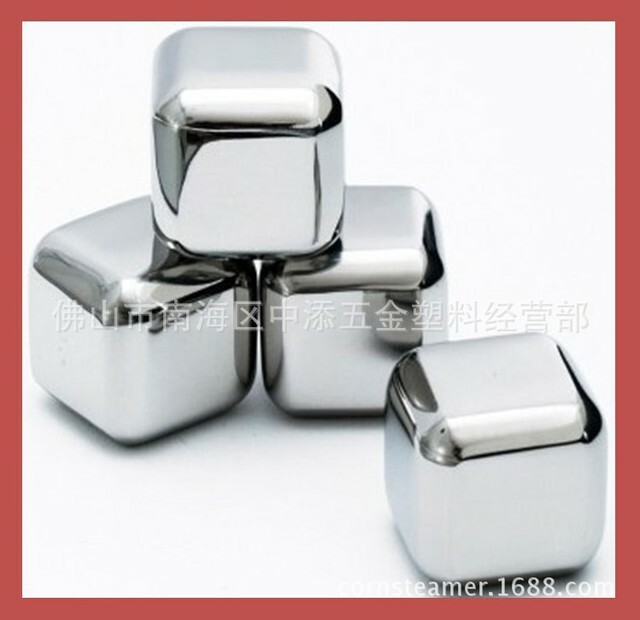 very happy x-mas arrived before they.